Excerpts from National Family Voices press release; read the full story here. This 164-page book was developed for families by families, in partnership with the American Academy of Pediatrics (AAP) and other professionals, and based on the AAP’s Bright Futures: Guidelines for the Health Supervision of Infants, Children, and Adolescents (3rd ed.). Bright Futures was recognized as the gold standard of pediatric care in the Affordable Care Act. 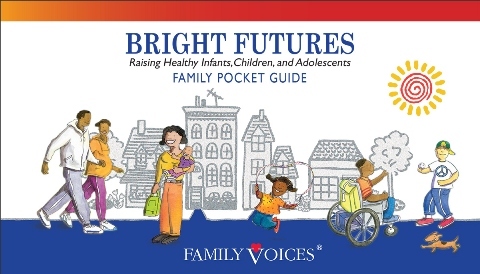 For more information and to order copies of the Pocket Guide, go to http://bit.ly/BrightFuturesFamilyPocketGuideorders, or call Family Voices Colorado at 800-881-8272 and we will order copies for you.